Make home made pizza base (use our pizza dough recipe if you like) extra big. 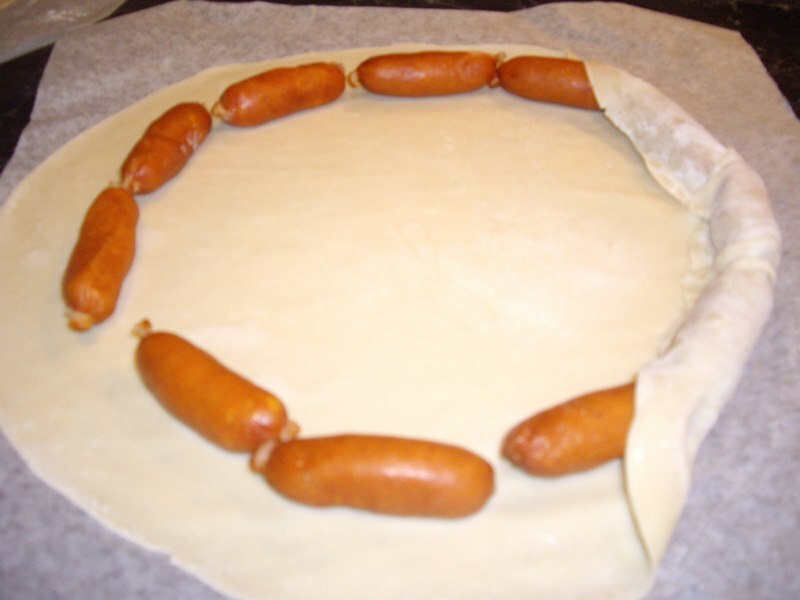 Fold extended edge of dough over kransky, push firmly to seal. Top with your favourite toppings,cook in the pizza oven. *Pizza base will be heavy so light toppings are recommended. *Try to make pizza base fit on the pizza paddle. If it’s too big, it will be hard to handle pizza.